Structural Engineering Design for alterations to existing dwelling, as well as external works such as retaining structures, gabion walls, and terraces. 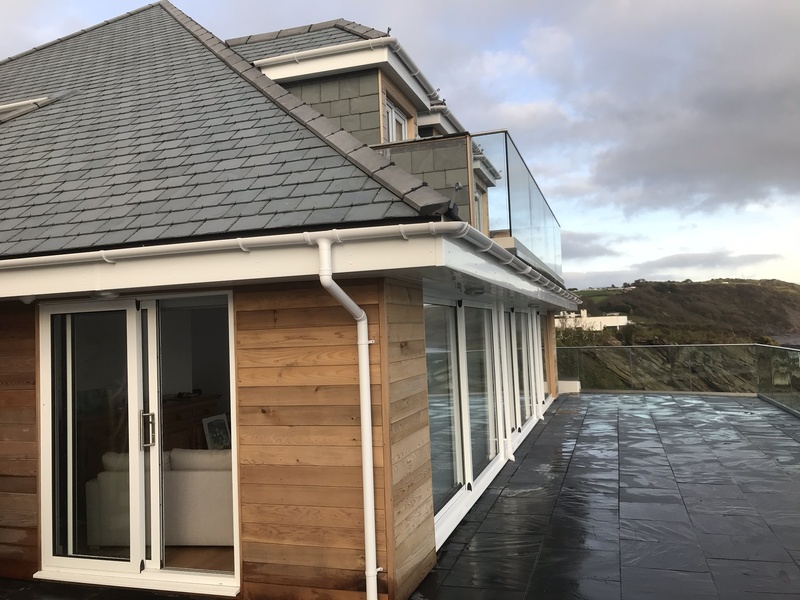 Originally an average sized bungalow in a fantastic location overlooking Looe Bay, we worked alongside local Architects to modernise, refurbish and extend the building. 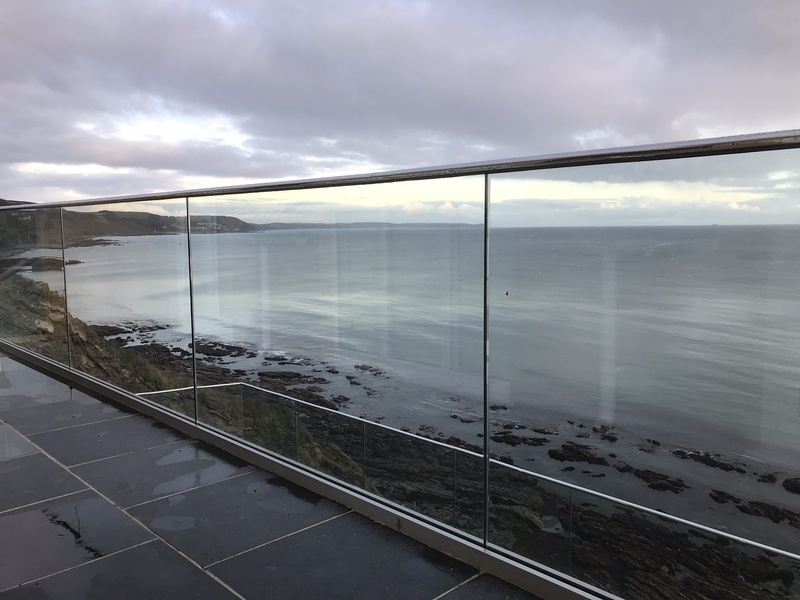 The works to the main building included design of steel framing to provide a fully glazed front elevation, to make the most of the sea views, as well as a new balcony at first floor level. 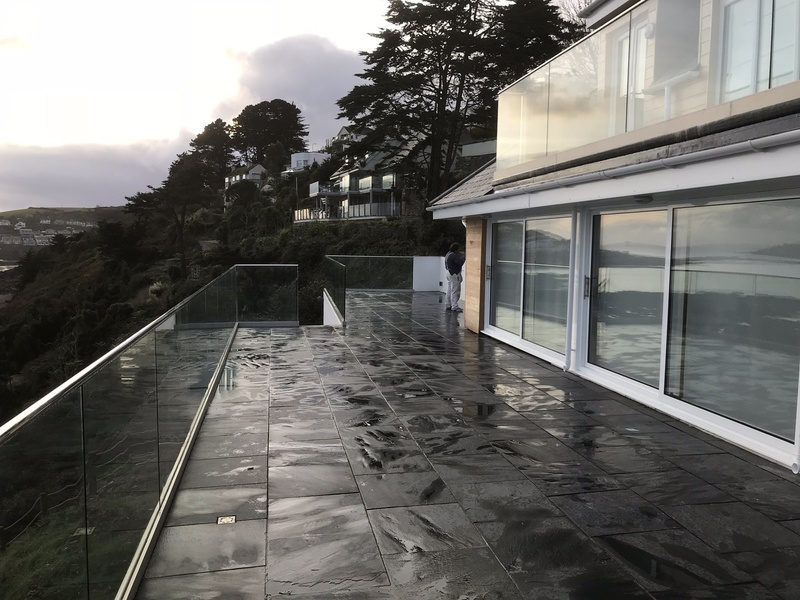 The project included significant external works to form a large terrace with glazed balustrade, as well as cliff stabilisation and new retaining structures. We sourced and worked alongside Geotechnical Engineers, Piling Contractors and a specialist rope access team who completed the rock bolting works. Contractor: A D Williams Building Contractors Ltd.